Instax Photo Swap USA #13 - Sender's Choice! 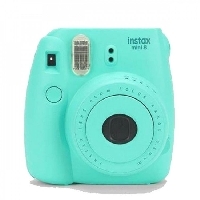 Do you own an Instax camera? They're super fun and easy to use, plus the photos are fun sized! [~1.8 x 2.4 inch photos ^^] I myself have an Instax Mini 8, but any version is fine! You can also use your Polaroid, so long as it's the kind that prints mini size photos. This will be a swap for an instax photo. one instax photo - sender's choice! You can send more than one photo or extras, but it is not required. You must be rated with a 4.95+ rating and have 20 type 2/3 swaps completed to join. No unexplained recent 1s or 3s.